A really fast car has gone around a scary circuit faster than other really fast cars, making it one of the fastest really fast cars on… well, Earth. That’s right, today’s new Nürburgring time comes courtesy of German tuner Renntech. 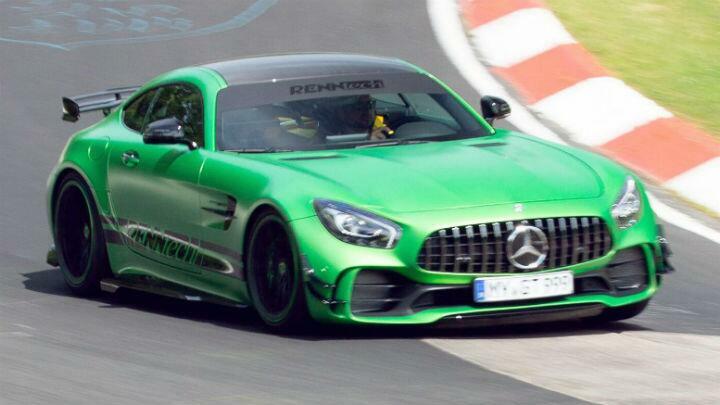 Before we talk about the time however, we must first address something inconceivable to many: they’ve modified Mercedes-AMG’s GT R.
Via an ECU tweak plus special new turbochargers and exhaust downpipes, Renntech has managed to boost the AMG GT R’s power from 577bhp to a whopping 750bhp. That is a considerable hike in power. It’s nearly a whole Golf GTD. They’ve also upgraded the brakes (two-piece discs with steel brake lines and a ventilation kit) and the handling, by fitting Bilstein suspension. He reckons there’s still “a few seconds” to be squeezed out of the car, which is more than a little frightening. So, to surmise: a really fast car has gone around a scary circuit faster than other really fast cars.